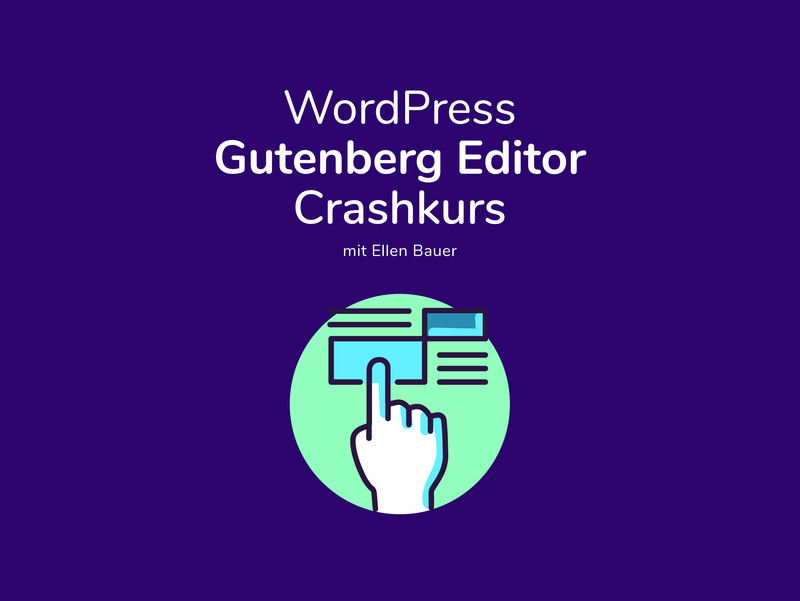 In our 2 days crash course you will learn how to create content in the new editor, how to move existing content from the classic editor to Gutenberg, which themes and plugins are Gutenberg-ready and what future changes WordPress users should prepare for. On each course day you will receive 2 hours video learning material at 8am (CET). You can work through the material in your own pace. Each evening at 7pm (CET) we will have a 40min live video meeting to discuss open questions together. The course is for WordPress users who want to get more familiar with the new Gutenberg editor. We will learn about the new opportunities the editor offers to WordPress users. The course is suitable for WordPress users of all levels. We will have 2 live video meetings on each day of the course (40 min each). During the meeting we can discuss any open questions or issues that came up during the day. There will also be a moderated Slack channel available for open discussions. The complete course material will also be available to you after the course has ended. This way you can come back to the material in case you forgot something we have covered during the course. The Gutenberg editor crash course is currently offered on January 26-27, 2019. We will have further course dates available soon.